Captive breeding research, particularly learning how to aquaculture marine fish, is constantly expanding. The aquarium trade plays a vital role in funding this research. In situ conservation uses the income from the aquarium trade to drive the protection of ecosystems around the world by their local communities. 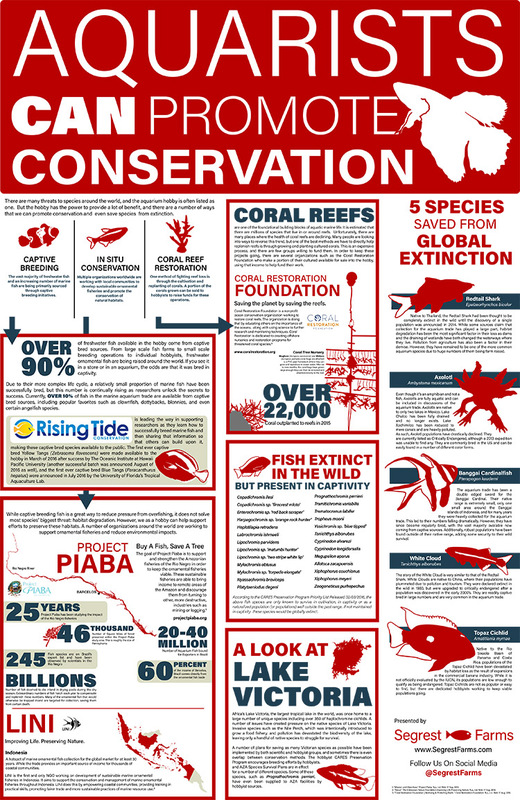 Coral reef restoration projects receive significant funding from the aquarium trade which allows them to continue their work replanting and restoring reefs. There are species that are only still in existence due to their popularity among fish keepers and the work done by dedicated hobbyists. As a hobbyist, we should be proud of the positive impact we can have, and strive to continue to improve. Check out our infographic for more information. Want to print a poster sized copy? Download here!